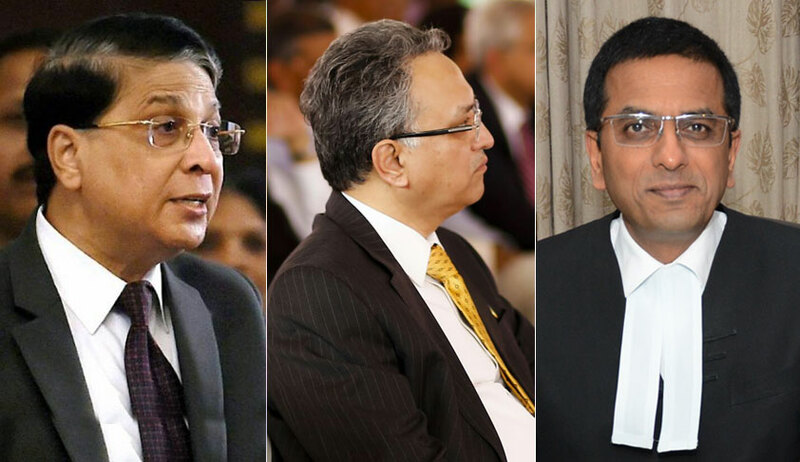 On the first day after the apex court opened post the summer vacation, the bench headed by Chief Justice Dipak Misra heard a writ petition by the Madras Bar Association praying for the fixing of timelines for each stage of the Memorandum of Procedure (MoP) for judicial appointments. Adjourning the matter to August, the bench, also comprising Justices D. Y. Chandrachud and A. M. Khanwilkar, asserted, "some progress is being made...a couple of appointments have been effected”. The petition laments the unreasonable delay on the part of the Executive in effecting the recommendations of the Supreme Court and High Court collegia, particularly in view of over 400 vacancies in the 24 High Courts across the country and as many as 8 in the Supreme Court. Senior Counsel Arvind Datar appeared on behalf of the petitioner Association. The petition laments the unreasonable delay on the part of the Executive in effecting the recommendations of the Supreme Court and High Court collegium, particularly in view of over 400 vacancies in the 24 High Courts across the country and as many as 8 in the Supreme Court. It has been contended that such an arbitrary practice in respect of the higher judiciary amounts to a violation of Articles 14, 19 and 21, being almost the exercise of an “indirect veto” by the government and thereby an infringement of the Fundamental Right of access to justice. Accordingly, the petition raises a substantial question of the interpretation of the Constitution as to whether the apex court is empowered to set a time schedule for the implementation of the MoP, in pursuance of the Second and Third Judges Cases. The National Judicial Appointments Commission (NJAC) Act of 2014, which envisaged a 6-member NJAC, comprising the CJI, 2 senior-most judges of the Supreme Court, the law minister and 2 eminent persons nominated by a committee of the Prime Minister, the Leader of Opposition in Lok Sabha and the CJI, to replace the collegium system, was declared unconstitutional by a five-judges bench of the apex court on October 16, 2015. Thereafter, by order dated December 16, 2015, broad guidelines were issued with a view to introduce transparency and accountability in the collegium system by supplementing the MoP as drafted by the Government of India. The MoP has since been getting tossed back and forth between the Centre and the Collegium. On October 27 last year, a bench of Justices Adarsh Kumar Goel and U. U. Lalit had issued notice to the Centre on a plea by Advocate R. P. Luthra which brought to its notice the delay in finalizing the MoP. Subsequently, on November 8, 2017, the petition was dismissed by a bench headed by Chief Justice Misra. In its latest response in March, 2017 to the revised draft of the document, the Supreme Court collegium has made it clear that it will have the last say in cases where its recommendation for appointment of a judge is returned by the government on the grounds of national security and public interest. In December last year, the Ministry of Law and Justice had told the Lok Sabha that The Government has urged the Supreme Court to improve the draft Memorandum of Procedure after its 2017 judgment on former Calcutta High Court Judge, Justice C.S. Karnan. Subsequently, Union Law Minister Ravi Shankar Prasad has also, in an interview to the Hindustan Times dated February 24, spoken about the need to audit the present collegium system post the experience in Justice Karnan’s case. The petition by the Madras Bar Association indicates the instances of strikes in the High Courts of Calcutta and Karnataka on the ground of posts lying vacant. Earlier, in April, the CJI had Refused to entertain the claims of urgency in two writ petitions seeking the expeditious appointment of judges to the Calcutta High Court. Notably, it relies on a LiveLaw report titled, “Exclusive: Judges Appointments – A Ping Pong Game? Is indefinite sitting over the files choking the judicial system?”, wherein LiveLaw had collected data to expose the sad state of affairs in terms of judicial appointments.